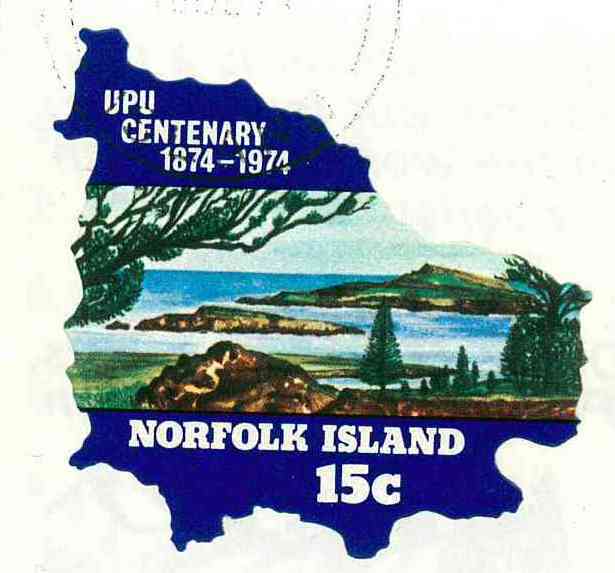 Norfolk Island UPU Centenary Issue 1974, Miniature sheet. Seeing as the theme for Sunday Stamps this week is unspecified, I thought I would take the opportunity to show off a recent acquisition relating to my favourite theme: maps on stamps. 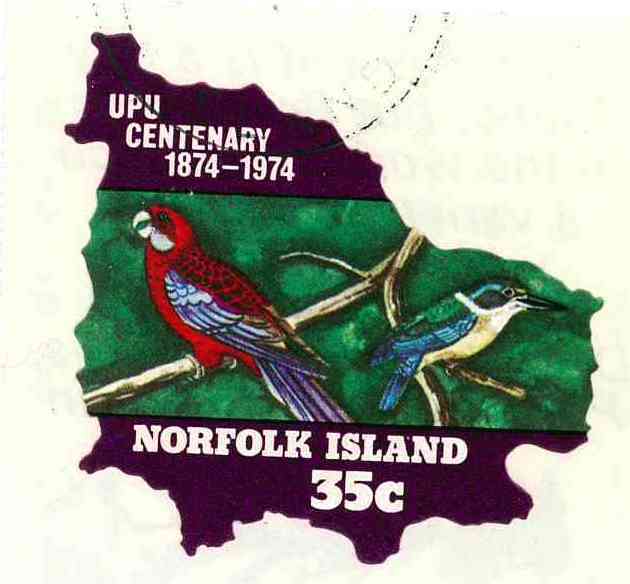 This stamps in this set from Norfolk Island are Awesome x 2. Not only do they depict maps, they are mini maps! For those of you wondering where Norfolk Island is -the 40c stamp provides the answer. 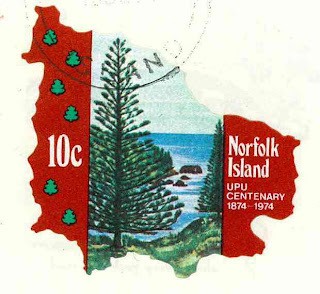 Norfolk Island is a self-governing territory of Australia, which means that it has an Australian post code, Australian currency and Australian police, but it has its own government and its own postage stamps! I love the topographic detail on the mini-sheet - it almost looks like the island could have come straight out of Tolkien's Middle Earth. The reverse of the mini-sheet, in contrast, looks like it has come straight out of a 1970s tourism brochure. I love it!! All images are click-able for a better view! 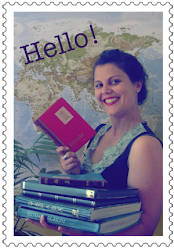 This is an entry into Viridian's Sunday Stamps. This is what Sunday Stamps is all about for me - a series of beautiful stamps that I've never seen and about a location that I knew by name only and its association with deportation for England. I thought it was 'part' of Australia. Those are really interesting stamps. 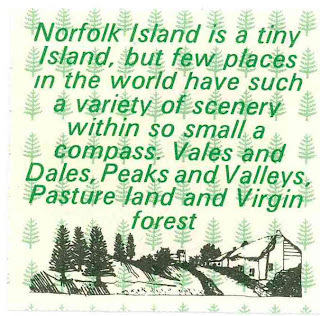 I had never heard of Norfolk Island before. Oh! Oh! I have! I received a postcard from Norfolk Island via Postcrossing, from a lady who is probably the only postcrosser on the island. I too did some research (OK wikipedia) to find out more. 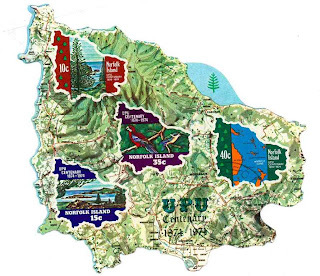 This is an amazing set of stamps and I love the topo map part of it too (being a geologist). thanks for participating. Miniature sheets like theses are far too beautiful to be broken up and used. I love maps but I don't remember seeing any on stamps. 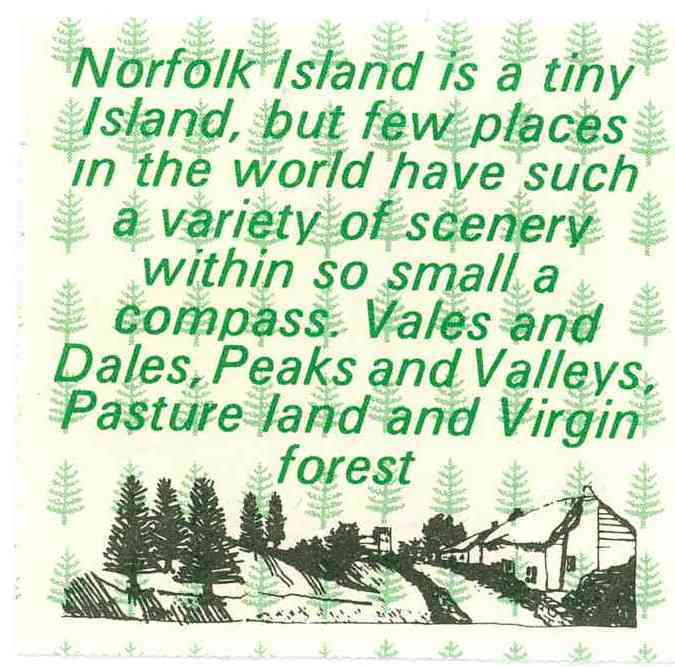 I have heard of Norfolk Island (and I even have a Norfolk island pine in my house) but didn't realize the island had so much to offer. I like how they have included the shape of the island on each stamp! 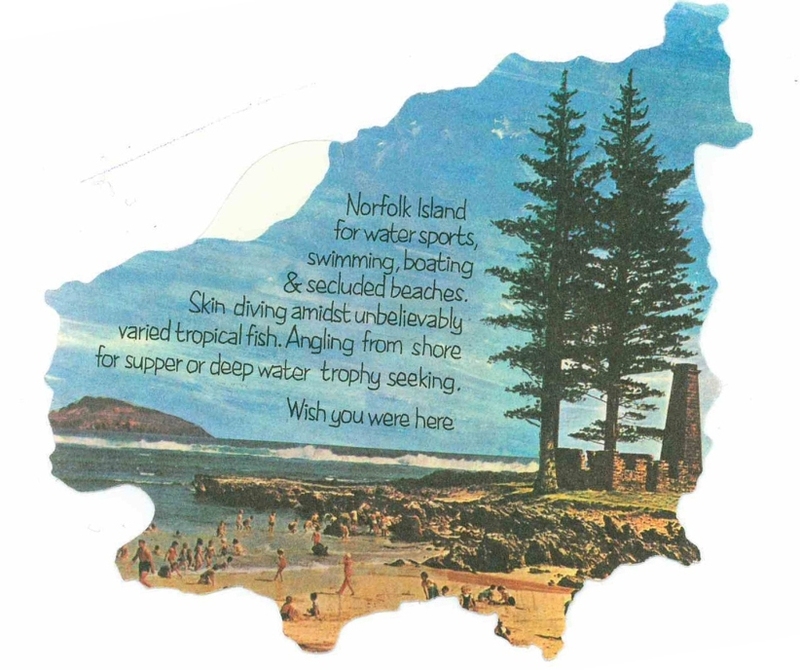 I have heard of Norfolk Island as I have several cards from there that I received via the postcrossing forum! 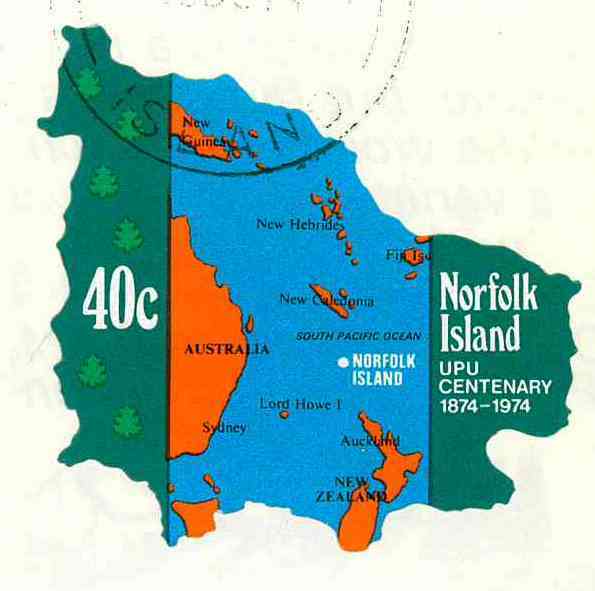 When I received the first card from Norfolk Island, I googled it of course and looked it up on a map :) Great choice! What a fascinating mini sheet, I always find maps so interesting and in combination with the map shaped stamps makes it a gem.